The 2018 Subaru WRX/STI had been in a slide downward for 11 months, but May turned things around for the 2018 Subaru WRX/STI performance sedans. It was a downward trend for the WRX and WRX STI since June of 2017. Subaru of America (SOA) announced U.S. May 2018 sales and it was the first time in eleven straight months the sport-tuned 2018 Subaru WRX and performance-tuned WRX STI sedans were up over the previous years sales. The 2018 Subaru WRX/STI started the new year down (-10.4 percent) over the same time period last year. 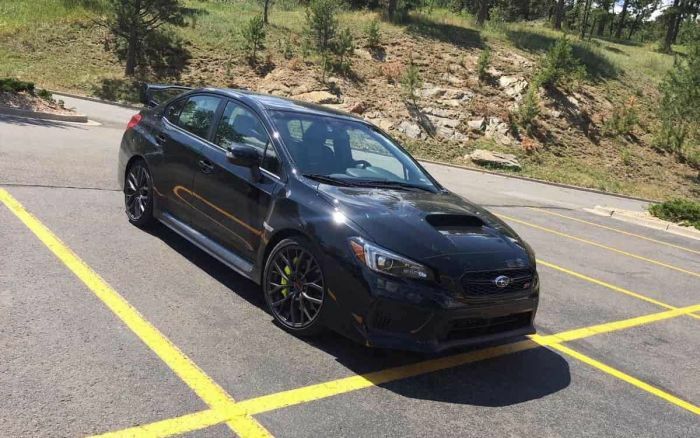 February, the slide continued with the WRX/STI performance sedans finishing -10.2 percent. March saw the WRX/STI again slightly down with a -0.7 percent slide and April, the performance sedans were down again -12.4 percent. For May, the WRX/STI was up 2.1 percent over the previous month in 2017. Subaru of America sold 2,859 WRX/STI’s last month compared with 2,801 in May 2017. It’s not a huge increase, but it’s positive nonetheless. What’s more amazing, is the new-generation 2018 Subaru Crosstrek is selling like crazy. Sales of the all-new 2018 Crosstrek were up an impressive 74.4 percent in May and it enjoyed its best month ever, helping SOA achieve its 78th consecutive month of sales gains when other automakers are struggling to make positive growth. The WRX/STI, Outback and Crosstrek were the only models in the stable with increases in May. In Canada, the WRX and WRX STI were also up, with May sales up 5.2 percent compared to the same month last year. The WRX/STI performance sedan isn’t due for a complete remodel until 2020, but Subaru just upgraded the 2019 WRX STI engine with more horsepower. This should help sales as it gets Type RA engine upgrades, the first time the STI has had any power increases since 2008.